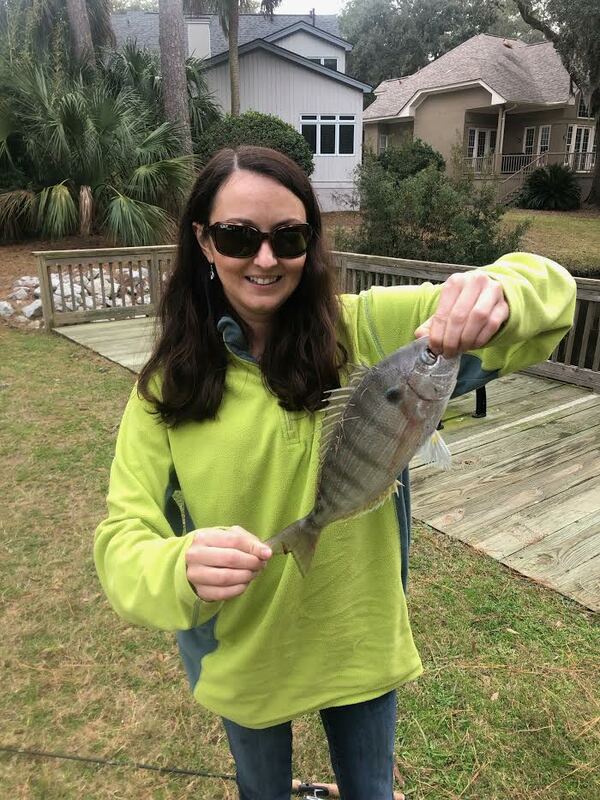 McCullough, of Savannah, Ga., caught the 12.8 ounce pinfish using live shrimp as bait while fishing in a tidal creek. The previous state record, set in 2016 by Marion Rawls, was 5.52 ounces. McCullough's catch was weighed by Russo Seafood of Savannah using a certified scale. McCullough will receive a certificate acknowledging her record catch, and the record will be added to the list published at CoastalGaDNR.org/RecreationalFishing. It will also be included in the 2020 Georgia Sport Fishing Regulations guide. For the current list of men's and women's saltwater fishing records, as well as information on how to submit a catch to the Georgia Saltwater Gamefish Record, please visit CoastalGaDNR.org/RecreationalFishing. Applications should include color photographs. There are minimum weights for several species. Anglers wishing to enter a fish for a new state record must have the fish weighed on a Georgia Department of Agriculture certified scale in the presence of at least one witness. Certified scales can be found at local seafood markets, grocery stores and agricultural supply stores. During business hours, anglers can have their catch weighed at the Coastal Regional Headquarters, One Conservation Way in Brunswick, Ga.